Bettina was a passionate, young human rights lawyer who I loved very much. 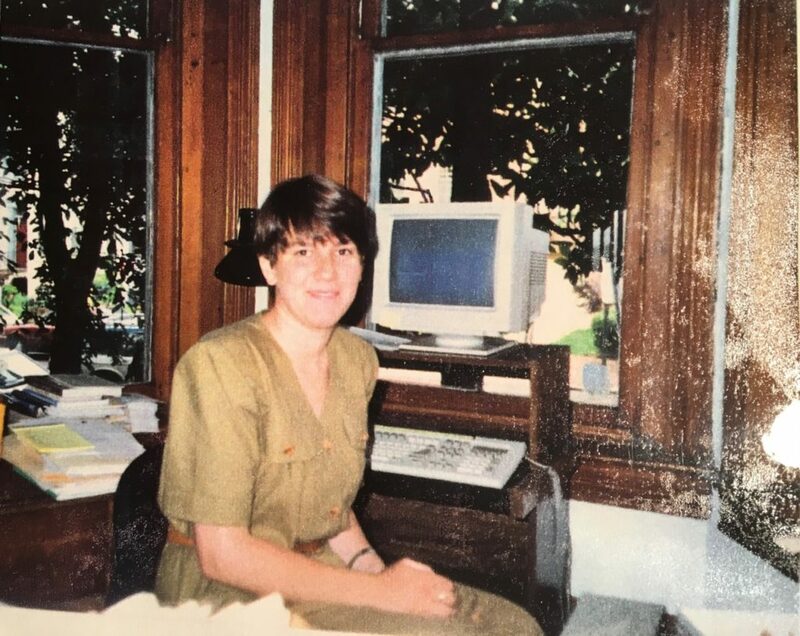 In 1994, she and I worked at the World Federalist Association, a peace organization in Washington DC. I was a research fellow focused on transnational financial institutions. Bettina was hired to work on global human rights issues, including the proposed International Criminal Court. Bettina and I shared an office space, and quickly bonded over our love of pastries and coffee. I found out that she was smart, sweet, and easy to talk to. 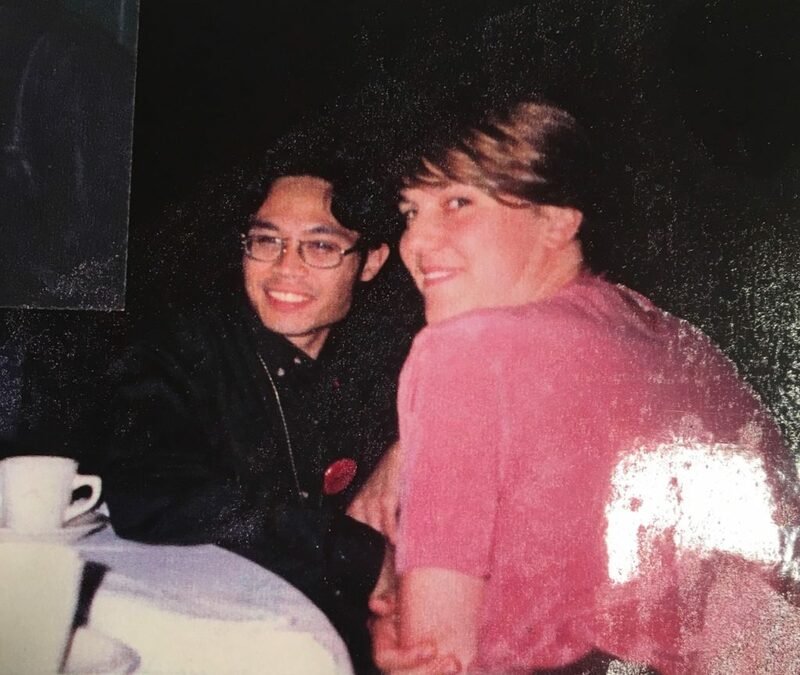 We were friends for a few months, while I made plans to move to New York to take an administrative assistant position at an NGO at the United Nations. And then, a few weeks before I moved away, we fell into a rushed but thrilling romance. We had some really wonderful times together. Long walks through museums and parks. Talking to all hours about everything. Sharing our hopes for the future, our anxieties about the present. Being each other’s cheering squad. But it was a difficult relationship to maintain. DC to New York is really far when you are young and poor and the internet isn’t really a thing yet. Neither of us were particularly well equipped emotionally to figure out how to make a long-distance relationship work. Inevitably, not long after my move to New York, we broke up. We remained friends and work collaborators. We had lovely meals together when she was in town, wrote letters and spoke on the phone frequently. As I got more stable in my new life in New York, I imagined us working it out and getting back together. And then, on December 16, 1995, Bettina was killed in a botched mugging. Last week, memories of Bettina resurfaced that I wasn’t prepared for. Instead of dwelling on the horror of that day, I choose to remember the wonderful things that Bettina brought to my life, and the lives of so many people she touched in her too-brief life. Bettina had a joyful exuberance about so many things. She loved fine foods and wine, and go could on and on about her favorite Austrian pastries. She loved art and poetry, introducing me to Rainer Maria Rilke. Playing on the beach with Bettina. Yes, that’s me with long hair and a goatee. She was passionate about justice and human rights. She was perhaps the first legal expert in the world to work full time on the proposed International Criminal Court. Tragically she was not able to see the court come into existence a few years later in 1998. Human rights weren’t just abstract concepts to her. She cared about the homeless people she encountered on her daily commute, often stopping to check up on someone she befriended living on the streets of DC. She wasn’t a saint, of course. She had her share of insecurities and self-doubts that plagued her. She was not entirely comfortable in her own body, and physical intimacy was something she still struggled with. (As did I.) She would be happy one instant, and then retreat into some dark place that I never really fully grasped. She was one of those beautiful humans who weren’t aware of their own beauty, which was endearing and also a shame. 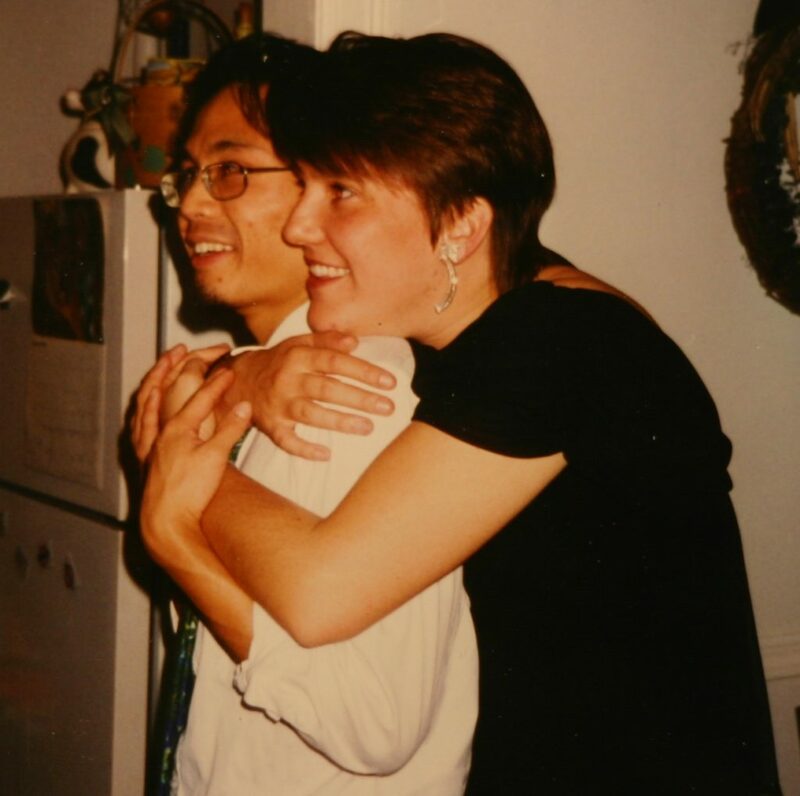 Bettina and I in Chicago for a WFA meeting, 1995. I’m so grateful that I had the gift of Bettina in my life, even for a very short time. She taught me what it means to love someone and be loved back. She brought such happiness into my life. A part of me still misses her, still grieves her loss. But I believe she made me a better human. I wouldn’t trade any of it for the world. Not one second. Thank you, Bettina.